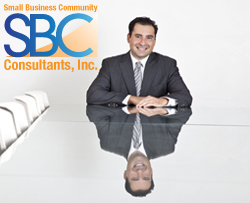 2014 In Review and Looking Ahead to 2015 - SBC Consultants Inc.
2014 was a great year for us. Since our services are geared toward Small Businesses, we have seen them thriving more this year than the previous 7 years. Perhaps it is due to the change in the Economy or perhaps people are understanding the benefits of obtaining their Certifications more than before. What ever the reason may be, Small Business Community Consultants, Inc. has helped more businesses this year in obtaining their Federal, State and Local Certifications than ever before. As we head in to 2015, we have 28 certifications that are either submitted waiting for approval, or are in the process of being submitted. Below is a list of our “in process” Certifications heading in to next year. In 2015, we are looking to offer new and exciting services to our clients, including but not limited to, access to local, State and Federal Contracting opportunities as well as Seminars. We will also be launching a new website which will be more user friendly and will give our clients the ability to learn and educate themselves prior to starting the Certification process.